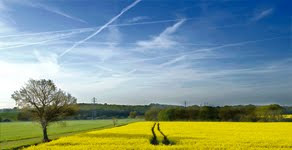 "Hi everyone, Pam back again. 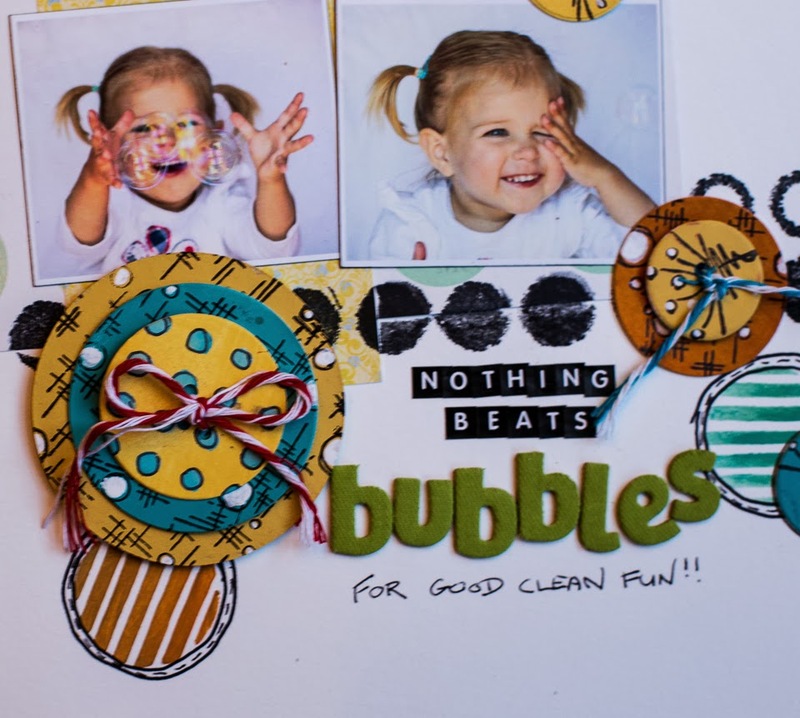 Today's post is all about making your own embellishments to add some interest to your scrapbook pages.The photos I have chosen to scrap are of my nephew's gorgeous little daughter, Charlotte, enjoying some bubble play. 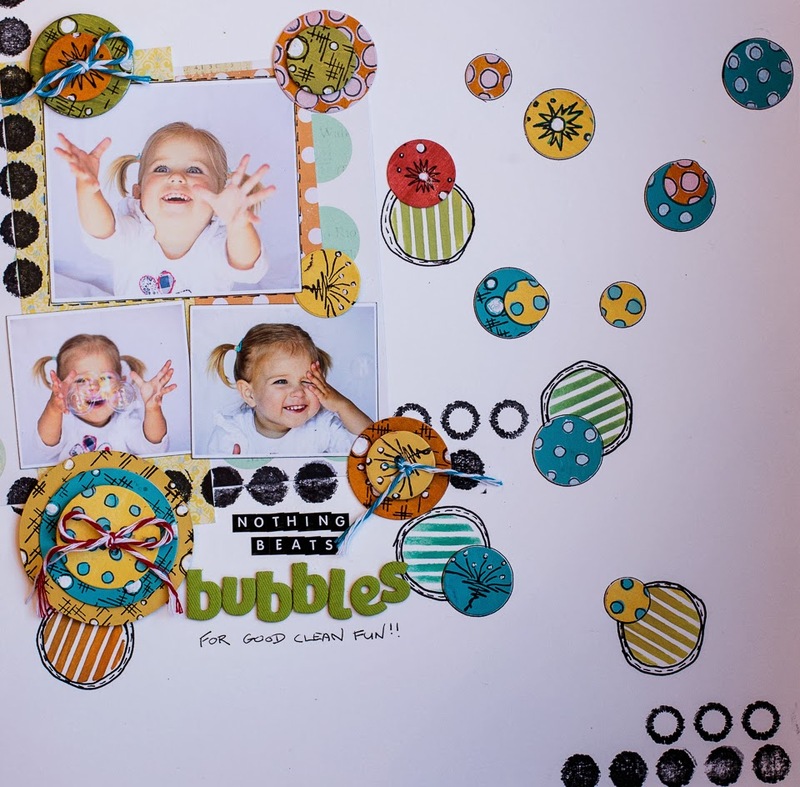 So what better embellishment for a page about bubbles than circles? 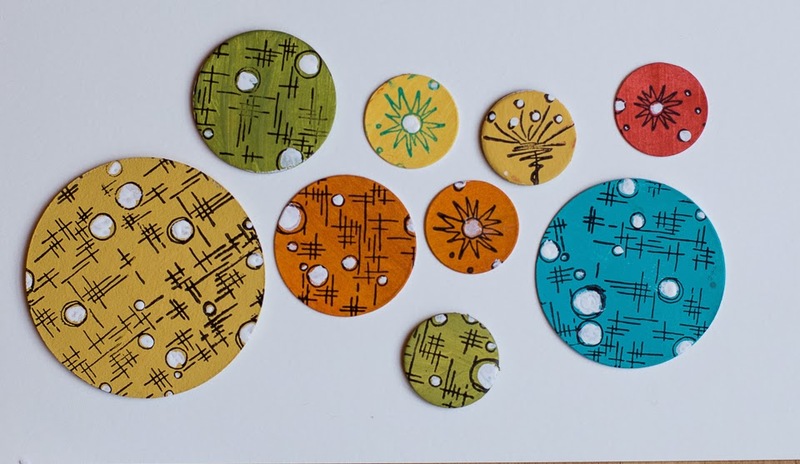 When I started this layout I had a notion that I would do all sorts of mixed media treatments on the circles-grunge paste, stamping, embossing, crackle paste.... and I did in fact do some of those. But at the end I decided that sometimes less is more, and eventually settled for paint, stencilling and stamping treatments with some black pen doodling to make everything pop"! 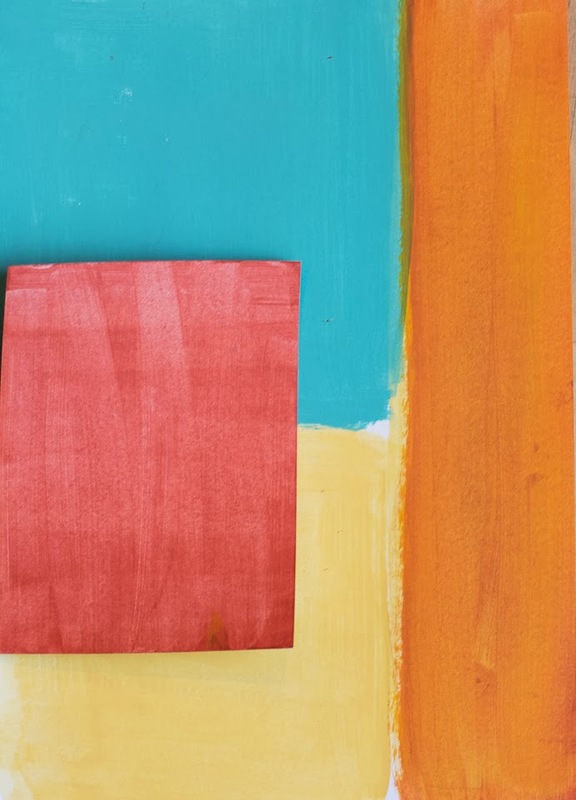 I painted some blocks of Fresco Paint in bright colours (Sky, Tango, Claret, Haystack onto some Smoothy White Stamping Card. I used a Sizzix die to cut some circles from the painted card, and then stamped them using JOFY stamps (JOFY Mini05, JOFY Mini 14, JOFY Collection 14 in black ink. The white spots have been painted in with Fresco Snowflake Paint. 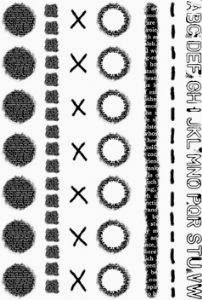 The next lot of circles were decorated using stencils, rather than stamps. The two stencils used were the Stencil Girls Fade Horizontal and the Striped Circles that I used earlier. The next step was to start to build my layout. I layered some scraps of circle pattern paper that were in my scrap paper drawer under my photos. I like to run a black Stazon Ink pad around the edge of my photos as it gives a very subtle definition to the edge of the photos. At this stage I decided to doodle around the edges of my stencil circles. I'm still a bit unsure about the wisdom of that decision though!! I also doodled around the white stencilled spots. I like to ground my photos, and the way I did it on this particular layout was to use the circle stamps from the Frames Plate 4 (Ink and the Dog) along the left edge of the photo and along the bottom edge. Then I layered up some of the circles, and used my cropodile to punch button holes into the centre and tied baker's twine through them. After that I arranged and rearranged and arranged the circles all over my page until I was happy with the placement! The last thing was to adhere the title. In the end I am quite happy with this page. I think it has a fun whimsical feel, it's clean and fresh and the circles help to support the story of the bubbles. It's all in the details! 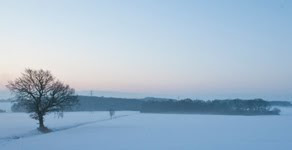 See you all again tomorow evening. Pam. Leandra Says: I really like your doodles around the bespoke bubbles! What a fresh, fun layout, and work perfectly with the gorgeous photos! 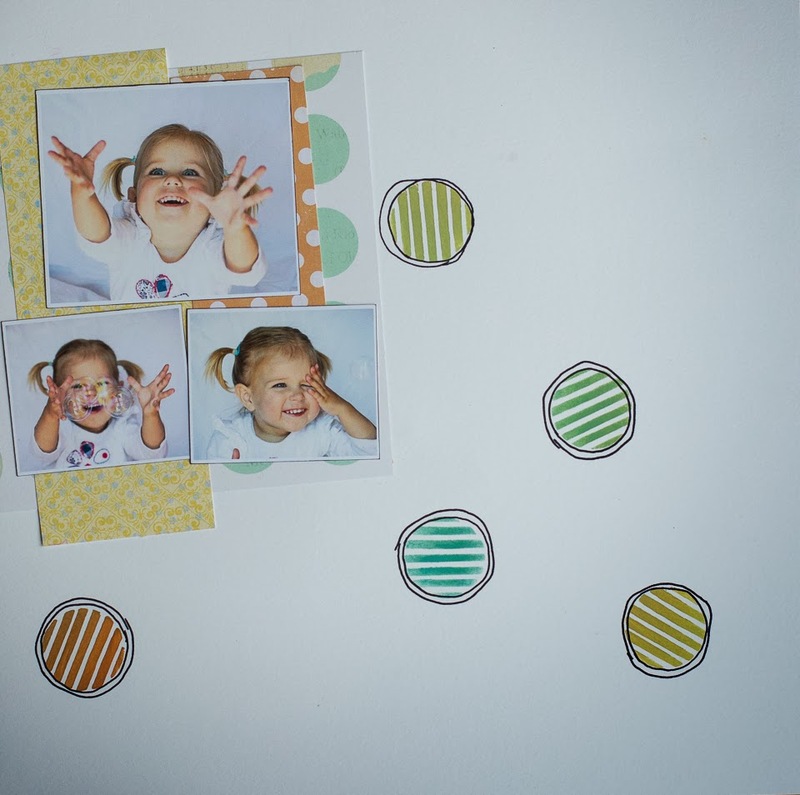 Gillian Says: She is adorable Pam, such a fun/whimsical layout perfect for this little cutie. 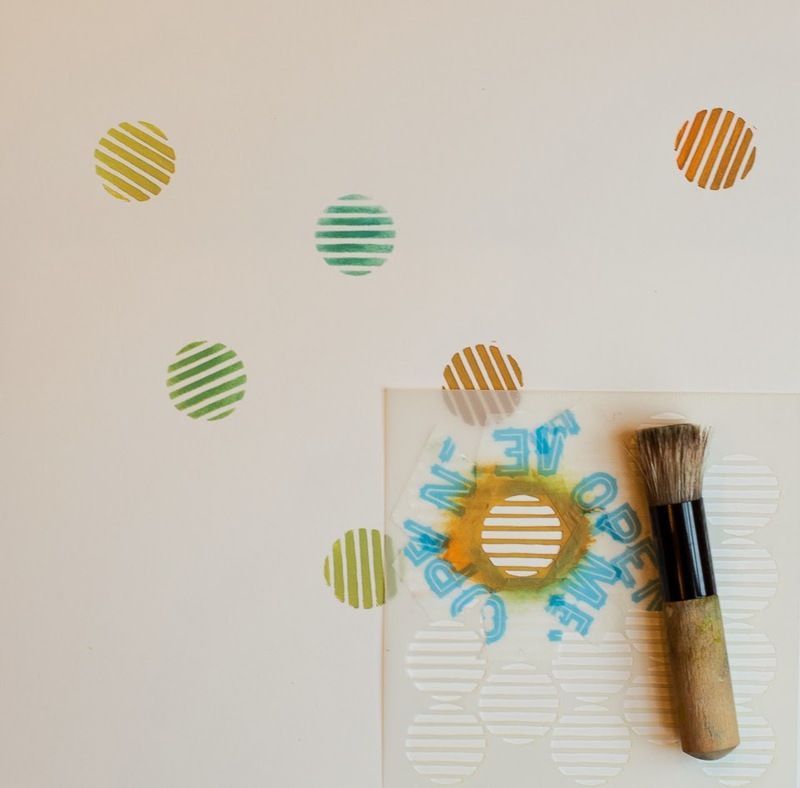 Loving the stamped/stencilled circles. what a fun page! Love the pics of little Charlotte, and all the circles are great! wow.. this is so wonderful, love it!!! Gorgeous!!! I love the mostly white background and your funky "bubbles" are the best! That is a gorgeous page, I love the circles. Charlotte is adorable. The layout gives a great sense of the fun Charlotte is having.That top photo is fantastic.